Jeff Abbott is the author of twelve novels of mystery and suspense. His books are published in over twenty countries and have been bestsellers in the US, UK, Ireland, Germany, France, Turkey, Portugal, and more. His novel Panic is in development as a feature film at The Weinstein Company, and his novel Collision has been optioned by 20th Century Fox and Garlin Pictures. His novels include the Jordan Poteet novels (about a librarian in a small Texas town), the Whit Mosley novels (about a justice of the peace on the Texas Gulf Coast), and four standalone novels of international intrigue. He is a graduate of Rice University and lives in Austin with his family. His novel Adrenaline, starting a new series about ex-CIA agent and bar owner Sam Capra, will be published in the US next July. 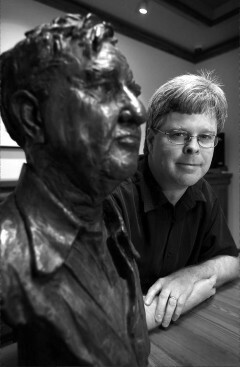 Steven L. Davis is the author of two acclaimed books, Texas Literary Outlaws (2004), and J. Frank Dobie: A Liberated Mind(2009.) He is an Assistant Curator at the Wittliff Collections at Texas State University-San Marcos. My life has never been static. I was born on January 20, the “Day of the Free Wheeler”, according to astrologists. I didn’t know this until late in life when “free wheeling” from a dreary job in Washington D.C. to New York City where my daughters were involved in a restaurant named “Nadine’s”. I never planned, but trusted my intuition. However, I like having an orderly life and yet be ready to drive to Marfa or Port Aransas on short notice. I feel I’ve been extremely lucky to have worked for Lyndon Johnson in the 50s while married to Billy Lee Brammer. The experience prepared me for knowing how and what to do as a congressional wife in the 60s and 70s while married to Bob Eckhardt. Each adventure in life has prepared me for the next. Life, after having interesting husbands and four wonderful and interesting children, is a continuum of unanticipated adventure. I await the next. Bill Brammer’s book, The Gay Place, describes the halcyon days in Austin during the late 50s and early 60s, before the county roads became main highways and we and our friends went on what we called ‘back roads tours’. It required little planning: wine, cheese, good bread and a Texas Road Map. We’d hop in a couple of cars and drive the back roads, stopping in small towns, cruise the town squares, explore junk shops and dime stores, picking up objects we thought interesting. We’d stop at a particulary beautiful spot between towns and lay out our picnic, drink wine and examine our booty from the last town, while taking in the beautiful view. One of our favorite tours was out Highway 183 to Lockhart, Luling, Gonzales, Cuero and Goliad for one of the most beautiful drives in Texas. We’d take some time in each town to cruise the neighborhoods of beautiful old houses and fantasize about people who lived in them. 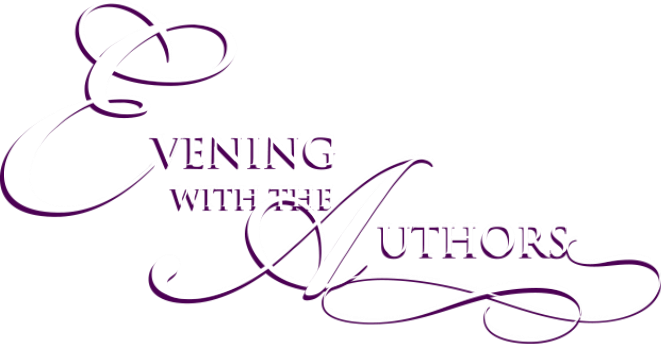 These memories prompted my enthusiastic acceptance to attend “Evening With the Authors” in Lockhart. 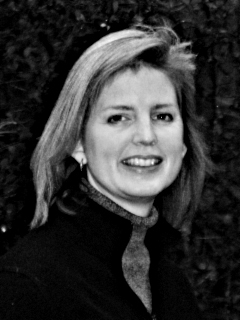 Jacqueline Kelly was born in New Zealand and moved with her parents to western Canada at an early age. She grew up in the dense rain forests of Vancouver Island, so you can imagine her shock some years later when her family moved to the desert of El Paso, Texas. She attended university in El Paso and medical school in Galveston. 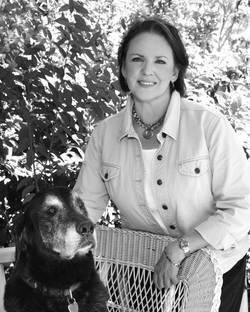 She practiced medicine for many years and then attended the University of Texas School of Law. She practiced law for several more years before realizing that what would really make her happy is to write fiction. Her first published short story appeared in 2001 in the Mississippi Review (one of her proudest accomplishments). Her debut novel,The Evolution of Calpurnia Tate, was released by Henry Holt on May 12, 2009 (another one of her proudest accomplishments). “This book was inspired by a summer sojourn in my big old 120-year-old farmhouse in Fentress, Texas. With the thermometer almost boiling over, I began to wonder how people stood the heat a hundred years ago with no air conditioning, especially since they had to wear all those clothes. Callie and her entire family sprang to life at that moment. The book was also inspired by the sight of a big yellow grasshopper and a small green grasshopper sunning themselves on one of the window screens. “I wrote a lot of this novel longhand, sitting on an old cushion on the front steps in Fentress, like Callie making her morning list of creatures. Presently, I write either upstairs in our Austin house, looking out at the trees, or at a small studio in downtown Austin, staring at a blank wall. I now generally use a computer, only switching to analog (i.e., pencil) when my battery gives up. I like to play the Austin classical music station quietly when I write. Reggae is good, too. The book I am working on presently is set in a medical school and is, naturally, influenced by my past in medicine. I married into a wonderful family of storytellers. The extended family often gets together at the farm of my mother-in-law, Jody King, here in Lockhart. After the seconds have been passed and only crumbs are left of the desserts, nobody bothers to get up. The chairs scrape back and elbows find their way to the table. Everyone knows the stories are about to begin. It’s why we come. Once the stories start, they spin out one after the other, all afternoon long. Before we know it, it’s time to think about reheating leftovers for supper. Some of our favorite tales go back three generations, but never seem to wear thin with the retelling. In fact, we laugh harder or sigh louder because we know how they end. For my sons, these stories will become part of who they are and where they come from. Communities have a shared past that’s important too. Having a beautiful hundred-year-old library that has hosted presidents and world-class musicians makes for interesting history. A crazy librarian camping out on its fifty-foot roof for a week in wind and rain is a Texas tall tale second to none. Take that historical library and crazy librarian and add a whole town of folks on the ground willing to work together to achieve something wonderful – well, that’s the kind of story that can define a community and will make a generation of children proud to call Lockhart home. I live in Houston with my husband James, and our two young boys. I spend a lot of my time trying to keep them from climbing on things like rooftops. 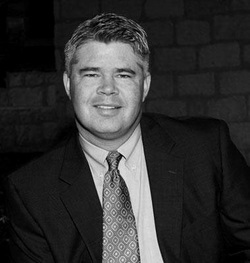 Joe McKinney is a homicide detective for the San Antonio Police Department who has a Master’s Degree in English Literature from The University of Texas at San Antonio and has been writing professionally since 2006. Before joining the Homicide Division as a detective, Joe worked on the San Antonio Police Department’s Critical Incident Management Team, where he received training in disaster mitigation, forensics, and homicide investigation techniques, some of which finds its way into his stories. 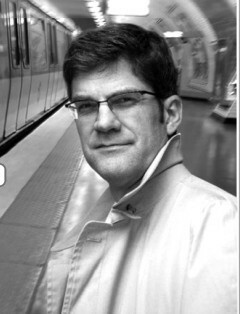 He is the Bram Stoker-nominated author of Dead City, Quarantined, Dodging Bullets and Dead Set. His upcoming books includeApocalypse of the Dead, The Ninth Plague, The Zombie King, Lost Girl of the Lake, and The Red Empire. These days, when he’s not reading professional criminal justice journals, he reads as much pulp fiction as he can. Some of his favorites from the good old days of the pulps include Manly Wade Wellman, Elmer Kelton, Richard Matheson, Cornell Woolrich, William Tenn, Cordwainer Smith, and Raymond Chandler. Some of his current favorites include Jeff Vandermeer, Dan Simmons, Connie Willis, T.E.D. Klein, John Scalzi, Joe Hill, Stephen King, Lee Thomas, Robert McCammon, and Ted Chiang. He lives in the Texas Hill Country north of San Antonio. Visit him athttp://joemckinney.wordpress.com for news and updates. A native Texan, Rebecca Rather makes the most of her Lone Star state’s varied traditions, whether looking to the kitchens of Texas’ Mexican and German immigrants or to the cowboy culture of her own forebears. Best of all, her recipes aren’t fussy—one of her best–selling cakes stirs together in a single saucepan. Add in a cupful of Texas attitude and her made–from–scratch–with–love philosophy, and you’ve got an irresistible taste of American baking. Rebecca began her career as a private caterer in Houston, before moving on to become pastry chef for Houston restaurateur Tony Vallone and his group of restaurants. After apprenticing with Daniel Leader, she worked as executive pastry chef for research and development for Schlotzsky’s Bread Alone cafés. In 1999, she started her own business, Rather Sweet Bakery, in Austin. In 2001, she moved the bakery to the scenic Hill Country town of Fredericksburg, Texas, expanding to serve lunch daily and dinner on weekends. 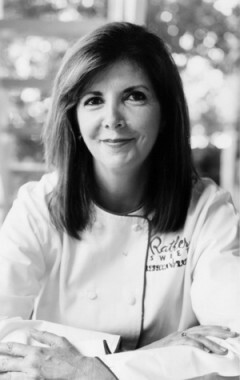 She has been featured in Texas Monthly, Gourmet, Ladies’ Home Journal, Food & Wine, Southern Living, Chocolatier, and Saveur, where she was among Saveur’s 100 favorites for 2003. Her books include The Pastry Queen, Pastry Queen Parties and The Pastry Queen Christmas. 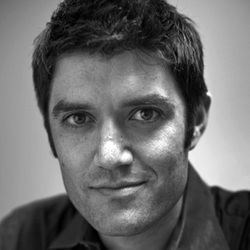 Texas Monthly editor, Jake Silverstein, was born in 1975 and raised in Oakland, California. He attended Wesleyan University in Middletown, Connecticut, and also received degrees from Hollins University in Roanoke, Virginia, and the Michener Center for Writers, at the University of Texas at Austin. At Wesleyan University, he was torn between acting and writing and penned volumes of poetry. After graduating with an English degree he snagged an internship at Harper’s Magazine in New York, where he stayed on for a year after that doing fact-checking and some writing. He wanted to be “where there was nothing happening,” so that “when something did happen there would be no one but me to write about it.” Unfortunately, the leads he turned up never quite worked out, so he kept moving, crossing back and forth across the border between fact and fiction in search of a magazine article. Part memoir, part novel, part history, Nothing Happened and Then It Did chronicles these often hilarious misadventures around Texas, Louisiana, and Mexico, as Silverstein’s search becomes an attempt to understand the purpose of journalism and the nature of storytelling. Silverstein worked at the paper for a year. After that came more freelancing, including for Harper’s; rehabbing a house in New Orleans; a master’s degree in English from Hollins University; a 2002 Fulbright Scholarship to Zacatecas, Mexico; and marriage to a woman named Mary LaMotte. Rose Styron is a poet, journalist and human rights activist. She has published three volumes of poetry (From Summer to Summer, Viking, 1965, Thieves’ Afternoon, Viking, 1972 and By Vineyard Light, Rizzoli, 1995) and collaborated in translations from Russian (Modern Russian Poetry and Poets on Street Corners both Viking Press.) Her poetry appears in a variety of publications, as do her articles on human rights and foreign policy and her interviews, book reviews and essays. Voice of America produced Writer’s World, her international series of conversations with publicly-engaged novelists and poets. In the field of mental health, she contributed a chapter to Unholy Ghost: Writers on Depression, edited by Nell Casey, (Harper Collins, 2002) and has spoken at Johns Hopkins Hospital and Massachusetts General Hospital about William Styron’s depression and its impact on the family. 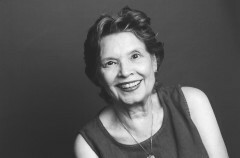 In 1969, following an Afro-Asian writers conference in Moscow and Tashkent, Rose Styron joined the founding group of Amnesty International USA and has since served on the board of many NGOs traveling widely on their behalf in Latin America, the USSR, Central Europe, Africa and Southeast Asia. Her most recent involvements have been South Africa, Cuba, and Northern Ireland. She currently serves on the boards of the Academy of American Poets, the Association to Benefit Children, and The Brain and Creativity Institute at USC. 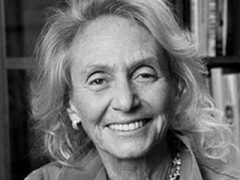 She is an overseer for New York University’s Faculty of Arts and Sciences, and a member of the Council on Foreign Relations. Since January 2009, Rose Styron has been a teaching fellow at Harvard’s Kennedy School. She wrote the introduction for her husband William Styron’s recent book Letters to My Father (LSU Press) and is currently preparing the complete Styron letters for Random House, as well as a personal memoir for Ecco Press (Harper Collins).